The name which comes to our mind whenever we think of cycling is none other than Lance Armstrong! Yes, he is the one who won the ‘Tour de France’ for a record of seven consecutive times, between 1999 and 2005. Not only this, he has lot many other X factors, that people can take as inspiration. He is a former American professional road racing cyclist, who was diagnosed with terminal cancer and doctors estimated his chances of survival to be only 20 to 50 percent. Astonishingly two years later, Armstrong was declared cancer-free after undergoing extensive chemotherapy and surgery. Lance Armstrong started his sporting career as a swimmer at City of Plano Swim Club and finished fourth in Texas state 1,500-meter freestyle. He was only 12 years then. But he stopped swimming after seeing a poster for a junior triathlon, called the Iron Kids Triathlon, which he won at age 13. Armstrong began competing as a professional triathlete at the age of 16. Lance Armstrong turned professional cyclist with the Motorola team, in the year 1992. At the age of 25, he was diagnosed with stage three testicular cancer. It had spread to his brain, lungs and abdomen. His cancer treatments included brain and testicular surgery and extensive chemotherapy. Finally, he was declared cancer-free in February 1997. It was in the same year he founded the Lance Armstrong Foundation, now ‘Livestrong Foundation‘, which provides support for cancer patients. The foundation raises awareness of cancer and has raised more than $325 million from the sale of yellow ‘Livestrong’ bracelets. Post Cancer and by January 1998, Lance Armstrong started serious training for racing. He finished fourth in the Vuelta a España. In 1999 he won the Tour de France, including four stages. He signed a new racing contract with US Postal. Armstrong also competed in the 2000 Olympics in Sydney, Australia. At the end of Tour de France in 2005, Armstrong retired from racing, but later returned to competitive cycling with the Astana team. Lance Armstrong, the holder of numerous accolades finally announced his retirement from competitive cycling ‘for good’ on February 16, 2011, while facing a US federal investigation into doping allegations. Along with Sally Jenkins, he authored his autobiography ‘It’s Not About the Bike: My Journey Back to Life’. This is the book, where he shares his journey through triumph, tragedy, transformation and transcendence. The book was The New York Times best-seller. 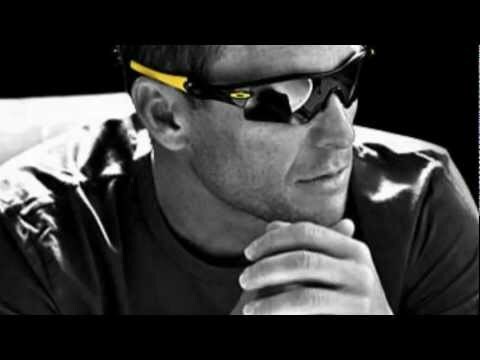 The following video is a trailer of the autobiography by Lance Armstrong. Some consider him as one of the best athletes of recent times and for some he is a fighter, who survived cancer when he had almost no chance of survival. Lance Armstrong has many such inspirational qualities in him, which is enough to transform a life. We just hope that people pick those numerous positivity that this great athlete had enriched the world so far. Armstrong is a holder of numerous achievements during his lifetime. He has a long list of achievements under his belt. Just few of them are mentioned below. National sprint-course triathlon champion in 1989 and 1990. UCI Road World Championships in 1993, Clásica de San Sebastián in 1995, Tour DuPont in 95 and 96. First American to win the La Flèche Wallonne in 1996. In 1996 Olympic Games, finished 6th in the time trial and 12th in the road race.